I remember as a child going for a walk with my mother and I came across a cluster of white grapes. I picked one and it was the most delicious grape I had ever tasted. Now, years later, as I was gardening, there are grape plants that have been there for years, and today I found a grape on an old grape plant. My mind started wandering and dreaming of Summer days of long ago. What it must have been like when this land was all acres of vineyard. The homestead of the original owners of property in this area, The Bushnells, is still nearby. During the 1700’s and 1800’s did this family sit on their porch on a Summer’s day and enjoy the fruits of their labor? Much of the land the Bushnells owned is now lots with homes, but I will try to preserve the vines of grape plants still remaining, so, one day, they will again grow those wonderful white grapes I enjoyed when I was a child. 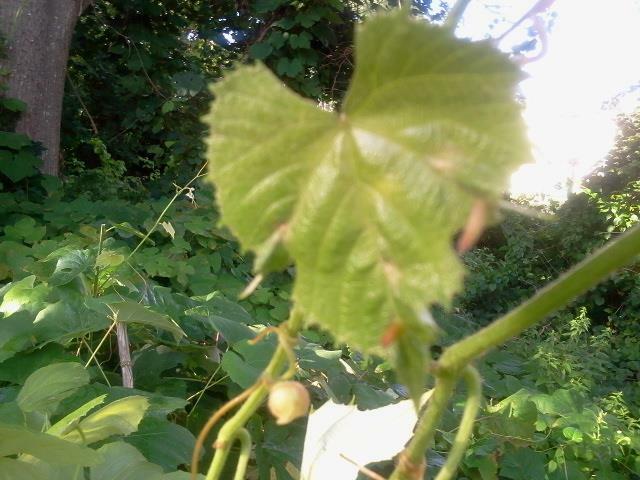 This entry was posted in Uncategorized and tagged fruit, grape plants, grapes, labor, maria jolicoeur, white grapes. Bookmark the permalink.